Total Credit & Risk Management Group is a founding member of the Global Credit Solutions (GCS) Group and currently the Hong Kong partner office. Global Credit Solutions (GCS) Group is the world’s largest network of international collections and tracing agents. The group employs more than 3,000 employees in over 100 countries across the world. Each office in the network is managed by teams with critical knowledge of local customs, cultures. This makes tracing, collecting and litigating all over the world efficient and most importantly cost-effective. Hong Kong Credit and Collection Management Association (HKCCMA), the first and only association for the credit and collection practitioners in Hong Kong. The Association was officially established in December 1999 by a group of keen practitioners in the industry under the assistance of Ms. Christine Loh, ex- Legislative Councilor and Chairman of the Citizen Party. HKCCMA is committed to the preservation of a healthy credit environment in today’s society through the regulation, maintenance and development of the highest ethical standards, professionalism and practices within the industry and fellow practitioners. 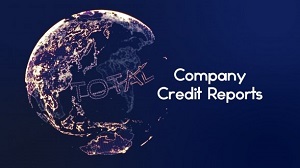 Total Credit & Risk Management Group is a founding member of HKCCMA. Asiagate was formed by a group of well-established and prominent credit reporting agencies in Asia knowing the importance of the growing economy in Asia and the need to protect investors and businessmen. Asiagate provides the widest coverage of corporate credit information in Asia and its country members are specifically selected based on their size, establishment, integrity and reputation from each country. Currently, its members covers China, Hong Kong, India, Indonesia, Korea, Malaysia, Singapore, New Zealand, Australia, Taiwan, Thailand, Vietnam, Philippines and Kenya. Total Credit & Risk Management Group is a founding member of ASIAGATE. ACA International is the comprehensive, knowledge-based resource for the credit and collection industry. In furtherance of its mission, through its Compliance Department, ACA strives to clarify the rights and responsibilities of all participants in the credit and collection cycle and enhance the knowledge and skills of credit and collection professionals around the world. Total Credit & Risk Management Group is a member of ACA International. With origins dating back to 1921, W.A.D. is the longest established and largest association of its kind in the world. The World Association of Detectives was formed as a joint venture by the combined membership of the World Association of Detectives and the International Secret Service Association and remains the foremost International Association of Professional Investigators and Security Service organizations. Total Credit & Risk Management Group is a member of WAD. NALI was formed in 1967 for legal investigators actively engaged in negligence investigations for the plaintiff and / or criminal defense. NALI’s primary focus is to educate and advance the art and science of legal investigation, and to ensure the highest standard of professional ethics. This common bond establishes mutual trust, goodwill and friendship among their members, which currently exceeds 500 professional legal investigators located throughout the USA and other countries. Total Credit & Risk Management Group is a member of NALI. The World Association of Professional Investigators, WAPI, is a private investigator body, formed by professionals, for professionals. It covers all areas of investigation, public sector and private sector, companies and individuals, corporate and domestic. The Association began as an open Professional Investigator Association in 2000, shortly after the UK Government announced the beginning of regulation of the Security Industry, which was to include the Investigative Sector. WAPI was created to empower the many Investigators throughout the UK, Ireland, EU and beyond, who would eventually need a licence to function within the UK/EU, and who were not being represented by the long established other UK Associations, or as many saw them “exclusive” clubs who sat in judgement over the vast majority of those operating within the Sector. Total Credit & Risk Management Group is a member of WAPI.